Working in office requires more effort, time and patience. You need these qualities to be an effective employee and in able to perform your task productively and less mistakes. Office also needs a decoration just like in your home. Having an elegant office is more comfortable to work with than working on a plain and simple office. It also helps to lessen the stress and to uplift the mood of everyone especially if they have too much work. Wallpaper can be a big help in beautifying your office, instead of adding decorative and other ornament accessories. It transforms your office to sophisticated office. 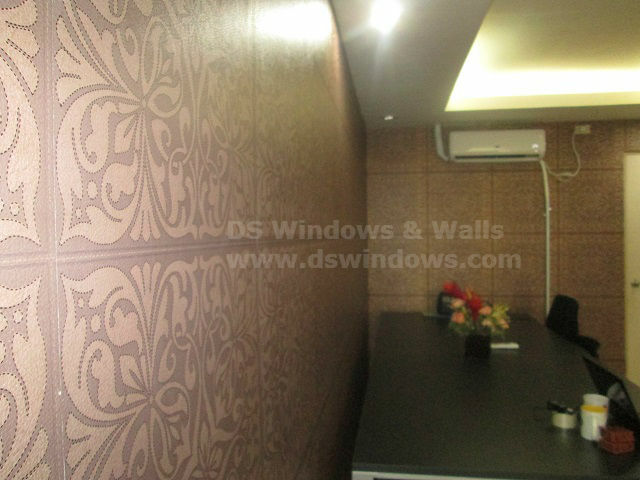 Wallpaper comes in different size, style and patterns that will help you to enhance your office. Here’s one of the sample of wallpaper installed in office at Valenzuela City. They decided to buy wallpaper to replace the color of their wall that looks plain, dull and old. When it was installed their place were transformed into cozy and more comforting ambiance. Wallpaper comes in different style, colors and patterns that will help to enhance your office area, it brings sophisticated look to any room. The good thing about wallpaper is it is more durable than paint, it can last long for 10 – 15 years unlike with paint it fades away for longer years. Wallpaper is a great choice for areas that are prone to dirt with the help of its pattern and color it can hide the dirt and smudges. Wallpaper Installed in Valenzuela City. 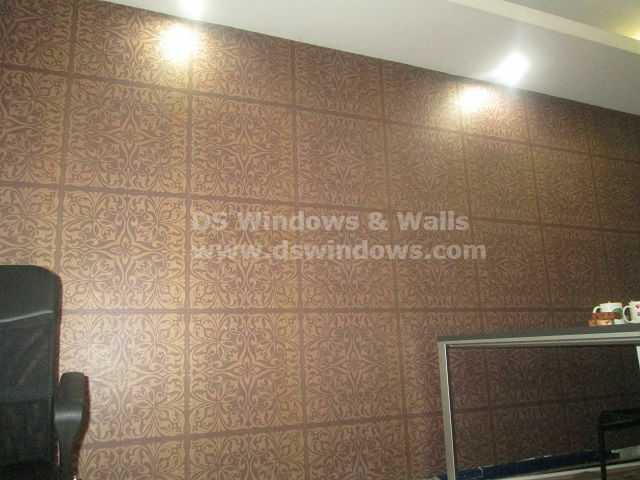 DS Windows and Walls offers wide range of wallpapers, it has a wide range of colors and textures that will suit best in your walls. DS Windows and Walls also offer many varieties of window blinds, folding doors and carpet. For inquiries you may visit our shop at 4th level Waltermart Makati City, 3rd level Robinson Metro East, Pasig City and 2nd level Pacific Mall, Lucena. You can also send your inquiries at inquiry@dswindows.com or you may call us at at (02) 893-1373 / (02) 403-3262 / 0916-311-3909. For wallpaper’s colors and pattern you can also browse our website at http://wallpaperphilippines.dswindows.com.